In this article we look at ten of the world’s largest football stadiums, some perhaps better known than others, and assess their legacies and impact both on the game and in their individual countries. We also look ahead and ask what the future may hold for this selection of magnificent sporting venues. Perhaps the best part about these massive football stadiums is the opportunity to tie in football and travel, and take short breaks from your regular 9-to-5 work schedule to hop on a plane and visit some of these beautiful countries, and enjoy football all around the world. 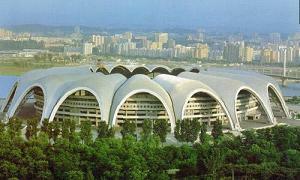 A vast architectural monument to Communism, the Rungrado May Day Stadium in Pyongyang was opened in 1989 and can house and incredible 150,000 spectators. Although the primary purpose of the stadium is to host vast parades and other public spectacles in North Korea, it is also used to host some of the national football team’s fixtures making it the largest football stadium on the planet. Unfortunately, being situated in one of the international community’s most isolated and volatile states, it is extremely unlikely that this magnificent arena will ever play host to a major tournament or have its turf graced by some of the world’s best players. With a population of well over one billion you might expect India to play host to one of the planet’s largest stadiums and the Salt Lake Stadium in Kolkata does not disappoint. With a capacity of 120,000, the home of the Indian national team is said to generate an incredible atmosphere when The Bhangra Boys are in town. 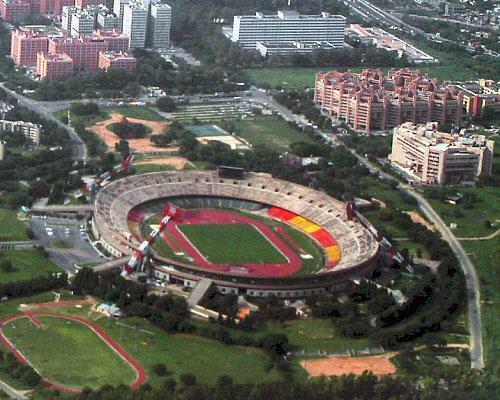 As well as playing host to the national side, the Salt Lake Stadium is also used by four of India’s leading clubs. Chirag United Sports Club, Mohun Bagan, East Bengal Club and Mohammedan Sporting Club are equal tenants of the stadium and all play their football in the top flight of the Indian game, the I-League First Division. With football in Kolkata going from strength to strength, Salt Lake Stadium is set to continue its role as a focal point for football in the country and, as the arena continues to modernise, a clear sign of the rapid improvement footballing facilities are making in what is has been an area of widespread growth for the game in the modern era. 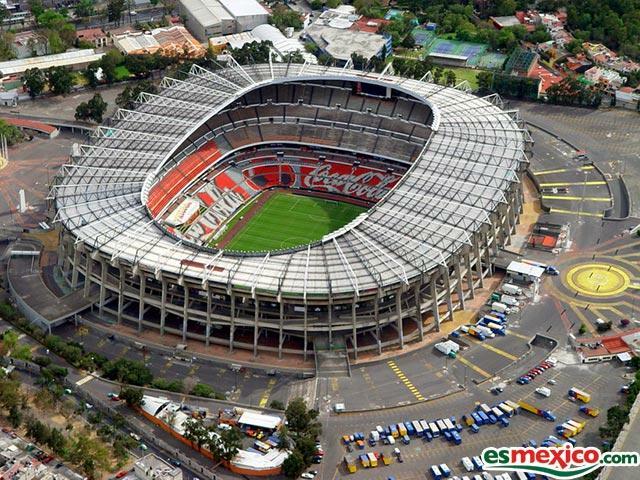 One of the most emblematic stadia in world football, Mexico City’s Azteca Stadium is the home of the Mexican national team and is probably best remembered for the two World Cup final’s it hosted in 1970 and 1986. Having twice been the venue for football’s most prestigious event, the Azteca is held dear to many fans of the game; but it is not the matches themselves, rather the moments of football history that have taken place on its turf that have made it one of the most famous arenas of all time. The 1970 World Cup showcased the talents of what was arguably the greatest team of all time; the Brazil side of Pele, Carlos Alberto, Rivelino and Jairzinho. Playing one of the most vibrant and expansive brands of football ever seen, it was in the Azteca that the Selecao of 1970 confirmed their greatness and claimed the Jules Rimet trophy for the third time in the country’s history. During the 1986 quarter final between England and Argentina, the Azteca was again a central agent in the creation of more immortal football history. Maradona’s “hand of God” moment was quickly followed by one of the greatest individual goals of all time as El Diego weaved his way past the majority of the England team to carve his name into the global footballing consciousness forever. In the final of the same tournament it was again Argentina that triumphed, Jorge Burrachaga scoring the winning goal in an epic 3-2 victory over West Germany. The Azteca’s history is so inextricably linked with some of the most significant moments in football’s remarkable journey that it has had its legend imprinted into the annals of football history and, as a result, will always be one of the game’s most iconic structures. Although best known as one of cricket’s most impressive venues, the Melbourne Cricket Ground also plays host to many of the Australian national football team’s most high-profile fixtures. With a capacity of just over 100,000, the MCG is comfortably the biggest stadium in Australia and one of the southern hemisphere’s most iconic and atmospheric arenas. As well as hosting a number of Australia’s World Cup Qualifiers, in 2007 the ground played host to a friendly between The Socceroos and Argentina. Although Australia were missing a handful of key players for the game, many of Argentina’s superstars took part in the game with Lionel Messi, Carlos Tevez and Javier Mascherano all gracing the MCG’s hallowed turf, giving the stadium more exposure and credibility as a venue amongst the footballing community in the process. 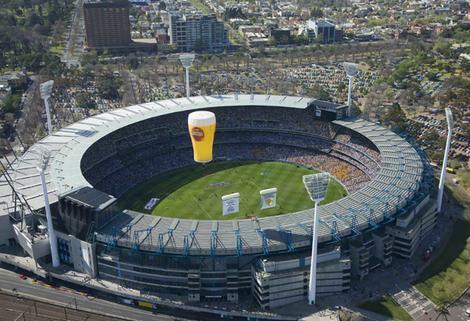 It is clear that the MCG is doing its best to be recognised as a top quality football arena and, should it continue to showcase Australia’s competitive matches and other high-profile fixtures, looks to be well on its way to achieving such a status. 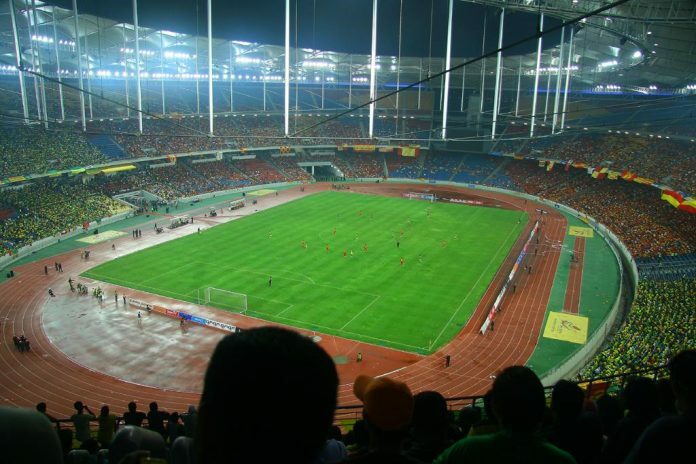 Situated in the ultra-modern city of Kuala Lumpur, the Bukit Jalil National Stadium in Malaysia was built to house the 1998 Commonwealth Games and has since gone on to become the home of the Malaysian football team. Back in June Manchester United played at the stadium as part of their pre-season tour of Asia in front of a sizeable crowd of 40,000. Sir Alex Ferguson’s team went up against a Malaysia XI in the Bukit Jalil, the Red Devils eventually emerging 3-2 victors with Michael Owen scoring a late winner. The stadium is clearly a world class venue and, by hosting the likes of Manchester United and other major European teams, is increasing its global exposure and building on its already impeccable reputation. Opened in 1957 as a symbol of Catalan nationalism, Barcelona’s Camp Nou is one of the most striking football grounds in the world and emblematic of the unique Catalan culture and a regional identity. Since the Camp Nou’s completion in the middle of the twentieth century, FC Barcelona, it’s illustrious tenants, have been at the forefront of European football and has enjoyed serial successes in this magnificent arena. Thirteen league titles, twelve Copa del Rey triumphs and three European Cups during the club’s residency at the Camp Nou have made Barcelona one of the most prestigious club’s in history and a true giant of world football. 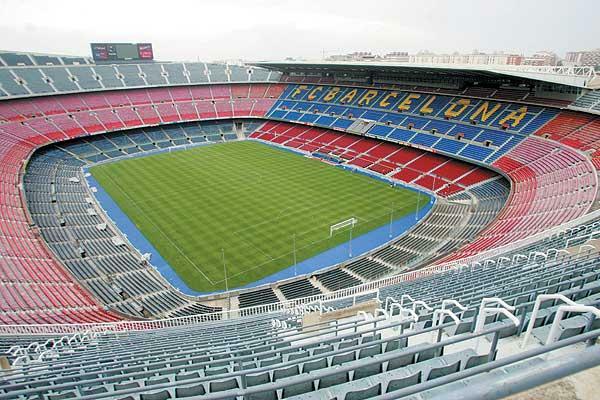 In 2007 Barcelona announced plans for the modernisation and further expansion of the Camp Nou in celebration of the stadium’s fiftieth anniversary. If the plans are carried out the stadium will have its capacity increased to over 112,000, a figure which would comfortably make the Camp Nou the largest football-exclusive arena in the world. In conjunction with the increased capacity, the club’s members voted in favour of revamping the stadium, with Norman Foster – the man responsible for New York’s Heart Tower, London’s “Gherkin” building and the restoration of the new Wembley Stadium – being appointed to bring his architectural flair to the project. The future of the Camp Nou looks very bright indeed. 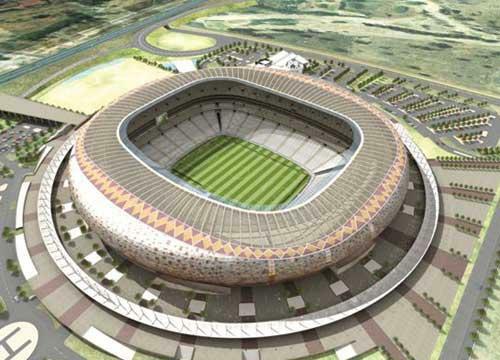 The home of the South African national team and the stadium which will host the 2010 World Cup final, the newly renovated Soccer City in Johannesburg is looking more impressive as ever as it is prepared to have the eyes of the world fixed upon it next summer. Having had its capacity expanded from 78,000 to almost 95,000, Soccer City looks set to be a tremendous venue for football’s showpiece tournament . The stadium is designed so that no single fan in the ground will be more than 100 metres away from the action, something which, with the tension of tournament football and the exuberant cacophony of the vuvuzelas, will surely make for a cauldron-like atmosphere next summer. A first World Cup in Africa is certainly a cause for celebration amongst the football community, and Soccer City is a stadium very much in keeping with the sense of occasion the 2010 tournament should induce. Some may complain about the second interpretation of the historic Wembley Stadium having less “soul” and “character” than the original, but Norman Foster’s architecturally stunning composition must surely be considered to be one of the most magnificent sporting arenas in Europe and the world. 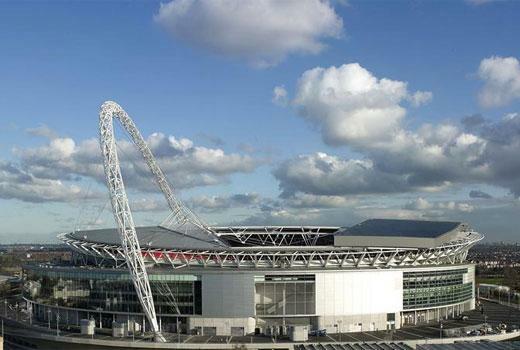 One of UEFA’s Elite Stadiums and the new home of the England national team, Wembley has quickly become one of the most recognisable stadia in football with its distinctive arch already an iconic part of the London skyline. The FA will be hoping that their lavish new arena can become the centrepiece for their bid to host the 2018 World Cup, its state-of-the-art facilities making it arguably the most advanced football stadia around and a potentially stunning venue for some of football’s most notable events. With the new Wembley continuing to grow in popularity as nostalgia for the twin towers of the original fades in the face of the success England have been enjoying in their new home, the stadium will surely develop a “character” of its own and become an integral part of British and European football history as the game continues to evolve and grow over time. 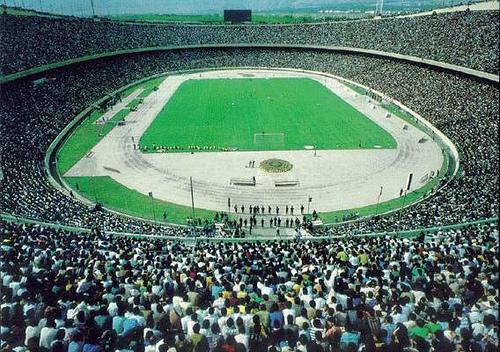 With a capacity equalling that of Wembley, Tehran’s Azadi Stadium was built in the mid-1970s to host the Asian Games and has since become the home of Iranian football and to Esteghalal FC and Persepolis FC – clubs playing in the highest tier of the Iranian football ladder – in the country’s post-revolution era. Despite perhaps not housing the level of football a stadium of the Azadi’s magnitude deserves, it has hosted a number of regional tournaments such as the West Asian Football Federation Championship and the Asian Club Championship. Furthermore, being the permanent home of the Iranian senior team, it is the venue for the country’s World Cup qualification games and, although the Iranian government bans women from attending football matches, was filled for the first time in a qualifier against Japan in the lead-up to the 2006 World Cup. Having been renovated as recently as 2003, the Azadi Stadium can confidently claim to be the outstanding footballing venue in the Middle East. The final entry on this list is one of the most recognisable football stadiums in the world, Rio de Janeiro’s Estadio do Maracana. Built between 1948 and 1950, the Maracana has been synonymous with the dominance of Brazilian football on the world stage ever since its construction. Indeed, its completion coincides almost exactly with the rise of Brazil to become the finest and most consistent football team of the last century. 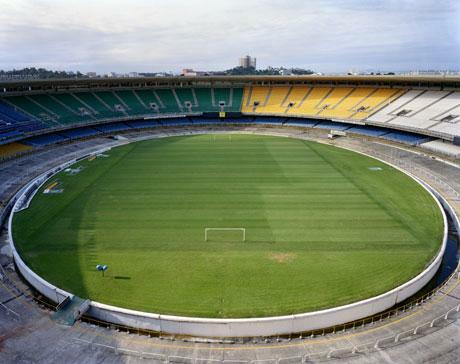 The stadium’s initial purpose was to host the 1950 World Cup, Brazil agonizingly losing out to Uruguay in the last match of the final round in front of an incredible 199,954 spectators jammed into this magnificent arena. Since then it has been home to no less than four of the country’s most high-profile clubs at different times; Flamengo, Fluminese, Botafogo and Vasco da Gama all having used the Maracana as their home at various points in their history, Flamengo and Fluminese still being part-time tenants of South America’s largest ground. As Brazil gears up for the 2014 World Cup, the Maracana is also undergoing a revamp, and although the city / stadium for the Final hasn’t been decided, the Maracana is sure to be hosting the main event. The 2013 Confederations Cup will give fans a better idea of what to expect during Brazil’s World Cup, but if I were you, I’d be booking flights right away. It promises to be a cracking event with plenty of entertainment on and off the pitch. Not only is the Maracana of great historical significance, it also looks set to continue its sporting prominence in the coming years with the arrival of both the World Cup and the Olympics in Rio in 2014 and 2016 respectively. Not only is this the stadium forever associated with Pele, Rivelino, Socrates, Ronaldo and a whole host other Brazilian greats, it will also be an arena for future generations of athletes to showcase their talents on the turf of this most famous of venues. The legend of the Maracana lives on. I'm a 20 year-old student from England with a bit of a football obsession looking to make my way as a freelance journalist and writer. I'm a big Southampton and England fan and write a daily blog on the travails of following the Saints (http://www.oleole.com/blogs/saints-blog). Please don't hesitate to get in touch. Great stadiums all no doubt. Bit surpising there so few really big stadiums in Europe. how could you forget the Rose Bowl? home of the world cup in 1994 and former home of the Los Angeles Galaxy, with a capacity of just over 92,000. Get your facts right. The MCG is there, however Unfortunantely for Melbourners (but not Sydneysiders :P) it’s upper levels are too far away to host a WC match if Australia was to host. And closing half a ground would look terrible. I didn’t forget it, but the idea was to include the ten largest stadiums which are currently used to host football matches. Other than 1994, the Rose Bowl has only been used to host American Football. Actually, the Rose Bowl hosted several high profile soccer matches this summer, including a Chelsea-Inter friendly which I attended (84,000) and an LA Galaxy-Barcelona friendly (93,000). It also hosted the ’94 World Cup Final (94,000 sellout) and ’99 Women’s World Cup Final (94,000 sellout) and the best attended club soccer match in US history during an LA Galaxy game in ’96 v. Tampa Bay (93,500). Though it hasn’t regularly hosted a team in recent years, it served as the home of the Galaxy for 7 years from 1996 to 2003 until the opening of Home Depot Center in Carson. Although I believe it’s technically correcct, it’s important to note that, just as the maracaná was filled to 200,000, many many stadiums in South America often surpass their listed capacity, and double it for important matches. This is largely due to the fact that south american stadia traditionaly have very few seats. The majority of the capacity is made up of standing room, or concrete bleachers, which effectively turn into standing room. With no safety regulations, or the importance of making money given a greater priority that safety, clubs often sell as many tickets as they think they can. But the Strahov is only used as a training ground. OK, I wasn’t aware of that. Thanks for the info. Regarding the comment about Soccer City, the term ‘soccer’ is not exclusive to north america at all. In ireland it is common, to distinguish the sport from Gaelic Football. And more importantly in England well into the 70s the term was used as a more white-collar term and ‘football’ was the working class name for the sport. MCG is a great stadium. It has to be cricket’s best stadium. Btw, you forgot to mention Real Madrid’s home turf under which some of the greatest players have played their football week in week out.